You will be highly recommended to others! 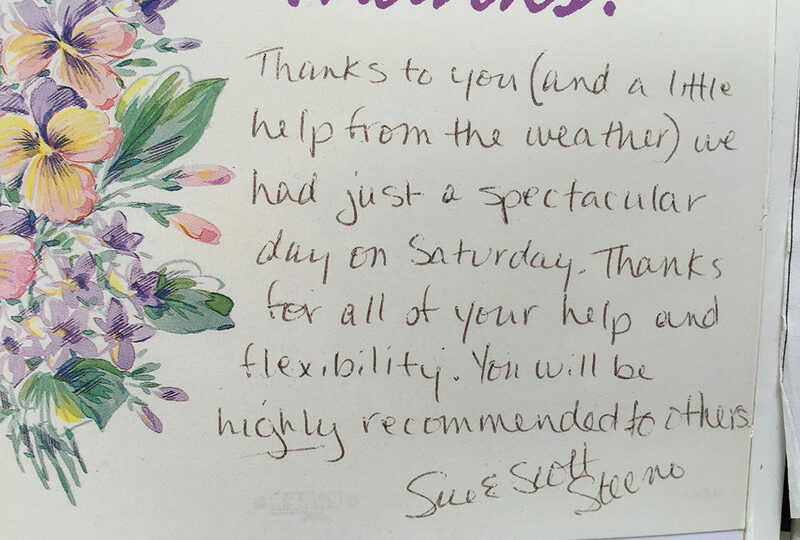 Thanks to you (and a little help from the weather) we had just a spectacular day on Saturday. Thanks for all of your help and flexibility. You will be highly recommended to others! Your staff is very friendly & professional. Thanks for supplying our rental items for all our events these past 2 weeks. Your staff is very friendly & professional. 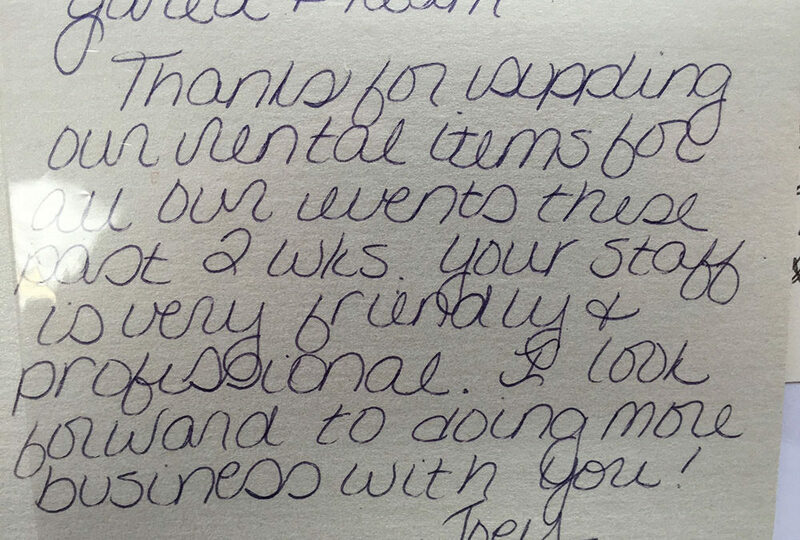 I look forward to doing more business with you! 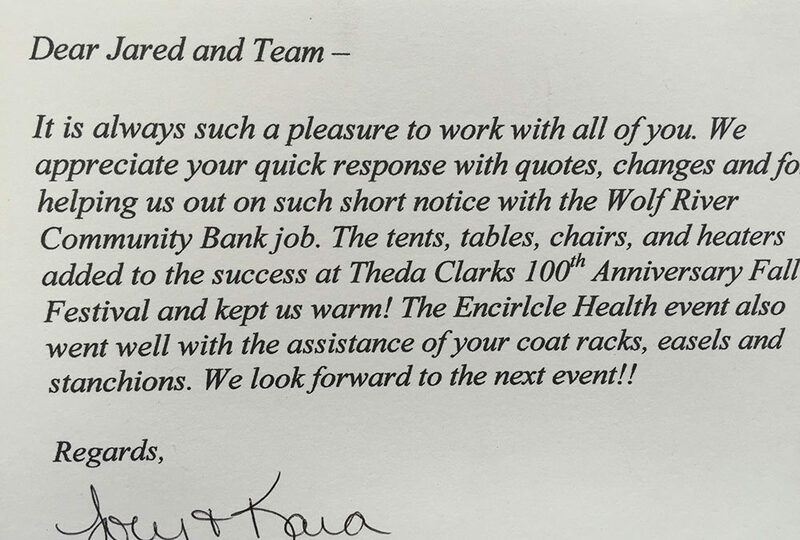 We appreciate your quick response & help with the Wolf River Community Bank event! 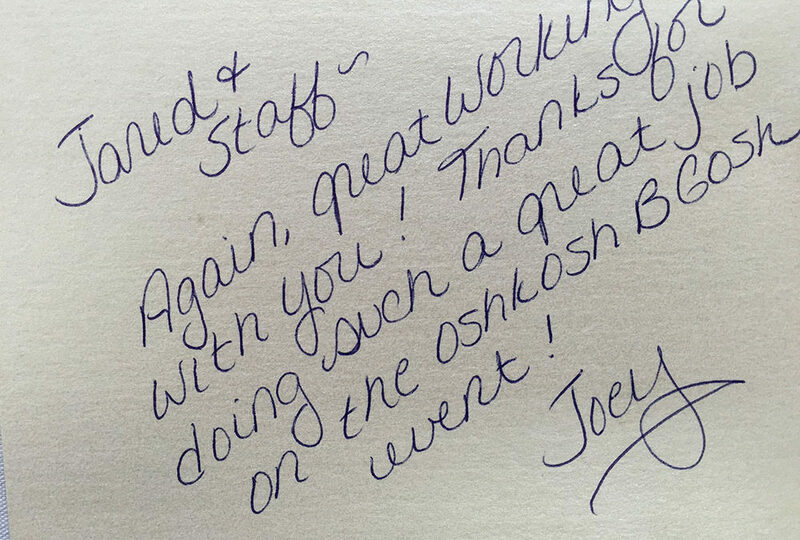 Great Job on the Oshkosh BGosh Event! Again, great working with you! Thanks for doing such a great job on the Oshkosh B-Gosh event!